I’m always enthusiastic when the younger generation takes a bold step and dare to enter the world of high end audio manufacturing. Yes, it’s quite a challenge, that calls for some boldness and a risks, that not everyone is willing to take. Spatafora Salvatore and his venture ESSE Quadro (from Trieste, Italy) is one of such brands and enthusiastic individuals, that has taken the challenging path. With a clear goal of combining captivating performance and eye catching/stylish design, Salvatore had a vision to encapsulated the very Italian heart with an interesting blend of musical potency and recognised Italian industrial design. 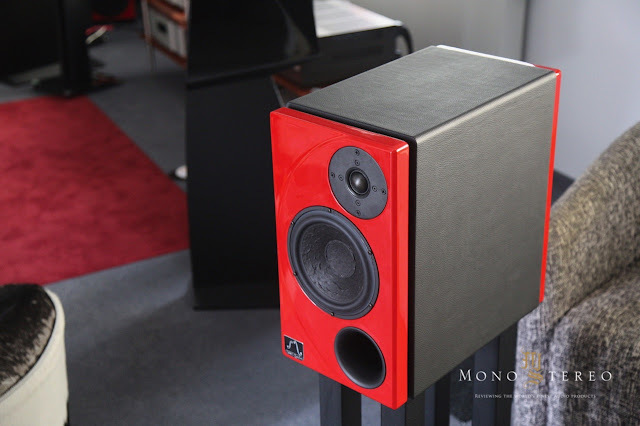 And yes, thee is something unique, yet very familiar associated with the L'UNA 177 speakers. Even the casual glancing towards the speakers will anchor the eyes with a familiar shape. The moon! Or better to say Italian, half moon :). L’Una combines two words, that translates to the “Luna” and “Unica”. In Italian Luna stands for the “Moon” (the shape) and “unica” means “the only”.